With the release of iOS 8 the stock Camera got some new features and enhancements, however there’s still a lot that is missing from the application. To fill the gap an app called ProShot has been released that aims to make your iPhone replace your clunky DSLR. While the app may not be able to live up to that claim it still brings some really nice features that make it worth downloading. For many users it has the potential of completely replacing iOS’s Camera app. ProShot has tons of useful feature that we will talk about in a minute. First I need to mention its user-interface, which is very different from other Cam apps available on the App Store. The interface is heavily inspired by the one found on real DSLRs or digital point and shoot cameras. While it may take you a short while to get used to it certainly gives the app a nice feel. Also, if you are a DSLR user then app’s design will look very familiar to you. For shooting ProShot has auto, program, manual and two custom modes. 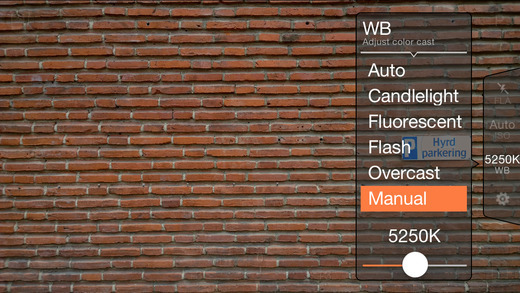 Using the settings you can control shutter speed, white balance, ISO and exposure. 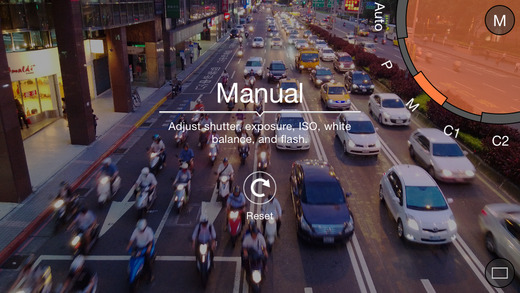 The app provides Auto ISO mode in addition to Lo and Hi settings. It has burst mode, timelapse and timer features built-in so you don’t have to jump between apps. The burst mode in ProShot noticeably works faster than the stock Camera app on older devices such as iPhone 5. For your selfies the app allows manual exposure controls for front camera. You can also have manual focus assist while taking shots. Perhaps the best feature of ProShot is that you can zoom in or out using one finger only. Simply tap and slide up or down to zoom. You can zoom up to 50X in this application. Other features include full access to camera roll, grid and ability for users to customize accent color. ProShot is a new app and will improve in future updates. Developer has already promised new features like video modes and square aspect ratio among other things. You can download ProShot app on your iPhone or iPod touch at the introductory price of free.